Lessons from a wedding: What are your customers’ values? Your potential customer is someone you are hoping to win over. You want their buy-in, their loyalty and their passion. Ideally, you want them to be a lifelong customer. You want them to prefer you over your competitors, but you need to give them reasons to stick by your side. Is it your superior product, excellent service or a fantastic online community? 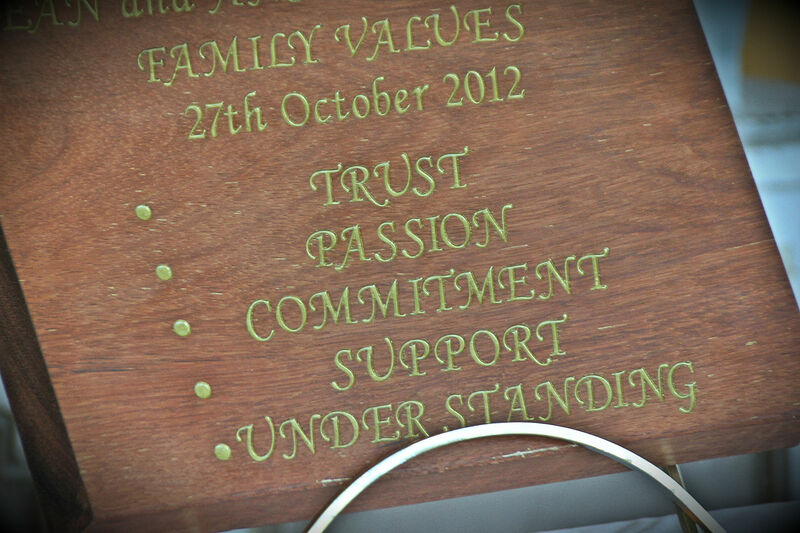 Over the weekend I went to a wedding where the bride and groom displayed a beautiful plaque with their five core family values etched into it: Trust, Passion, Commitment, Support and Understanding. These five values are what they hold most dear in their relationship. They’re the make or break. They’re non-negotiable. If any of these five values disappear, the relationship will be brought into question. A business needs to understand and consider their customers’ values in everything they do in order to attract and retain them. Those values need to form part of every campaign, communication, touchpoint and sale. If ever the business disappoints, they must be able to recover by demonstrating that they respect those values and know how important they are to their customer. The challenges are figuring out what those values are, satisfying those values, and adapting when those values change over time. How? By listening, communicating and not ever making assumptions. What are your customers’ values? What’s non-negotiable for them?